Police are investigating an assault at Massabesic High School in Waterboro, Maine, in which a female student allegedly beat another while a different student recorded it. 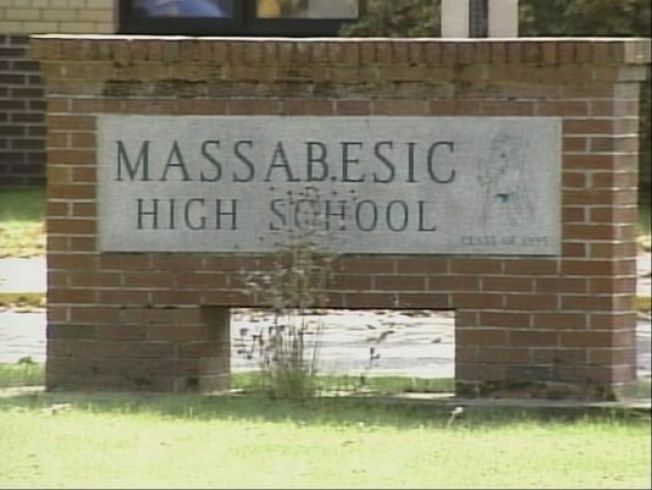 Officials are investigating an assault at Massabesic High School where one female student allegedly beat another while another videotaped it. The assault happened March 8 on school grounds around 9:30 a.m. The York County Sheriff's office said the victim suffered bumps and bruises. She was examined by the school nurse and hospitalization wasn't deemed necessary. The girl's mother, Lisa Maclean, wrote on Facebook that it wasn't a random act of violence and that it was planned. She said her daughter was spit on during the attack and repeatedly kicked and punched. She also said that nobody tried to stop and help. "To watch your child go through something like this is heartbreaking," she wrote. The Sheriff's office said the victim and her family have obtained a protective order prohibiting the other girl from contacting the victim or being near her, except for incidental context while they are both at school. The school district has taken appropriate action. The school resource officer, Jason Solomon, is working with school officials and has started an investigation that might lead to criminal charges.